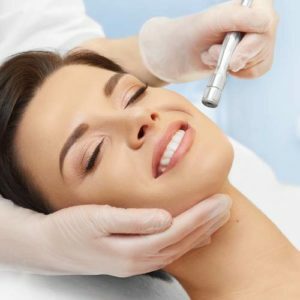 At the Facial Plastic Surgery and Rejuvenation Center we have the latest in laser technology to help with improving the look of your skin by minimizing the unwanted dark spots (pigment) present on the skin and blood vessels that may be visible through the skin. A laser generates an intense beam of light that can specifically target a treatment site. The laser light is absorbed by the oxyhomglobin (bright red blood cells carrying oxygen) and melanin (black or brown pigment found in the skin) causing decomposition by heat of the unwanted cells while leave the healthy cells in tact. Our providers will help you create an individual treatment plan to maximize your results. We have several different laser options to meet your needs and desired outcomes.